Isabel is offering a handmade skirt (like the one below) to one lucky winner! To enter, just follow the I Know blog and leave a comment here letting us know you did! For an additional entry, like I Know on Facebook. Please leave a separate comment for each entry. The winner will be drawn next Friday, July 20th and announced shortly after. Good luck, friends! **Isabel is offering a discount code for her Etsy shop, if you spot something you just can't live without. Enter the code SKUNKBOY to receive 15% off of her summer collection. Also liked her on Facebook! And now I've liked her on fb too! That is a seriously awesome skirt. I'm following I Know- what a great blog! I am following her blog and am a huge fan! um that skirt is amazing! following for sure! Followed her blog, but I am not on FB. I love that pattern and have such an appreciation for handmade clothing, after altering several skirts. I follow her blog under i was the sea via GFC. Following most definitely! What perfect clothes! I'm following her blog! Love that skirt! I'm following her blog! Thank you! And I've also liked I Know on facebook. Woohoo! Love her dresses, she is a very talented young lady! Am officially following her blog. Isabel has some mighty fine talent. Beautiful clothing! P.S. Following on facebook as well! i also follow her on facebook ! I've very recently discovered and started following I KNOW's wonderful blog and etsy shop and can't help but drool over her designs! I would love to own one of her skirts, they're just too cute! Thank you for sharing this Katie! I'm so excited to see what new inspiration her blog will bring! I follow her blog via Bloglovin! i follow her blog, she has such a cute style plus wooo an english blogger! you should have a look at a blogger called yours truly i think you will like her! I also liked I Know on Facebook. I followed her blog! Her style looks so adorable! Also liked I Know on Facebook! Definitely following her, always happy to find a new British blog to love! Followed :) Love handmade clothing! What a cute blog! I'm following. Cute shop! I'm so impressed with her work! I started following her blog. Following her blog was a no-brainer! love her work. I've also followed on facebook! Goodluck ladies! I am following the I Know blog. I have liked I Know on Facebook. How fantastic! 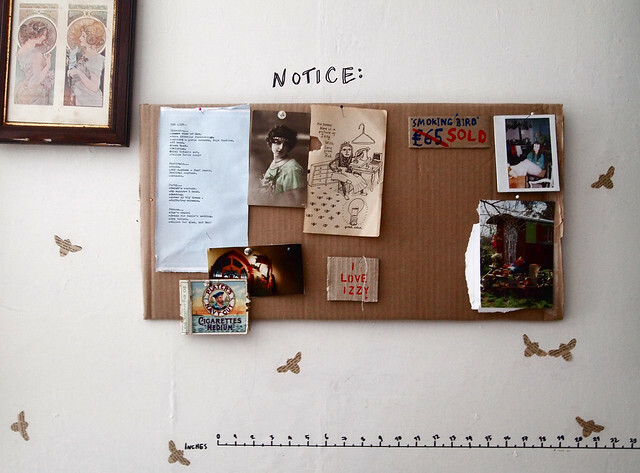 She does stunning work-- happily following her blog! also like the facebook page! I followed her blog and it is lovely! I followed her via bloglovin. How great is that skirt?! Goodness she makes pretty things! Following her blog! Following via Bloglovin'! Lovely blog and clothing! Thanks for the giveaway! I liked I Know on Facebook! I followed via GFC! Thank you for a new great blog to follow and such a beautiful giveaway! Just followed her lovely blog!I would LOVE to win this skirt!She is fabulous! I love her blog - I've been following it for a while, via GCF! I LoVe Isabel's work, especially the 'Frangipane' dress....swoon! This skirt is just too cute! And i've liked on facebook! Following! What an adorable chevron pattern! Liked it on facebook too! and of course the pastel blue skirt too, it's just summer-all-the-way right ? I love this! Chevrons! I will also do the FB thing. I love her stuff! I got distracted by the pretty that I realized I didn't let you know I followed her blog. So . . . I follwed her blog. Thanks! following her blog - omg I LOVE her! thank you so much for sharing this. and following her on FB. her stuff is amazing! i'm a new follower of her blog :) this skirt is pretty amazing too! I am officially a follower "I KNOW" right? Awesome. Yay new blog to follow - overseas yet! Folling her on the blog! Currently following her blog! Her animal mounts in her studio are amazing! And that fox! I also heart her Etsy!I don't have Facebook ! Following her blog as daer0n. I loooove her clothing & would love a chance to own one of her skirts! :) I liked her page on facebook! Following her blog - man, she makes some adorable dresses! And the chevron skirt? Love it, love it, love it! Just liked 'I Know' on Facebook! Just liked "I know" on Facebook. I loved the beautiful apple dress you had on the other day! Just followed the I Know blog... to cute! How adorable! I loved her blog and all of the vintage inspiration. also like them on the book! 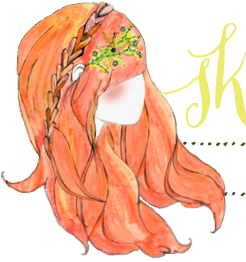 Just followed her on Bloglovin! That skirt is SO neat. I've been a little cray-cray about chevron lately, so I may just have to purchase this gem. 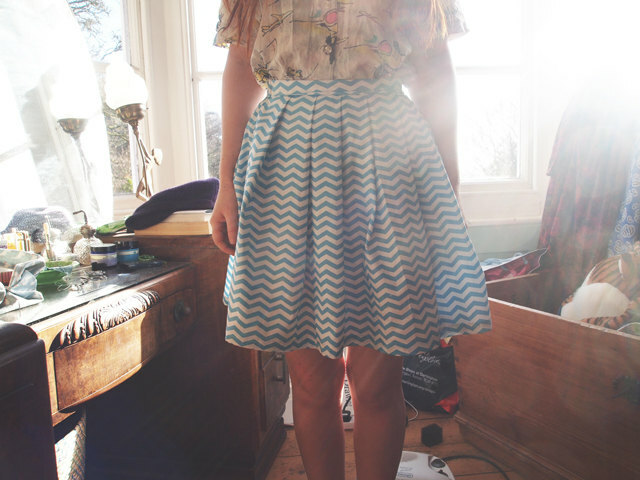 Following via Bloglovin' that blue chevron skirt is just beautiful! Lovely skirt! I look forward to learning more about her on her blog...followed! I also liked her on Facebook! Followed her blog! I love her clothes! They are so stinkin adorable! Thank you for introducing her with us. I just love her clothes! I am following her blog! And I was already following her facebook page! Neat! I also liked her Facebook page! I liked on fb. Sew cute! Thanks Katie and Isabel! Don't you love that feeling when you discover a brand new blog! Am I the only one who starts at the very beginning? I'm following her blog now. Thanks Katie and Isabel! Following on blogger and FB! :) Thanks, love it so far! that skirt is adorable! i now like her on facebook too! I followed her via gfc! That's such a cute skirt! I liked her page on fb too! I love the skirt! Such a beautiful creation. I followed the blog! Can't wait to hear from I know soon! I also loved on Facebook! I am following the I Know blog! Liked her page on FB! I liked her FB page. And I am following her blog! 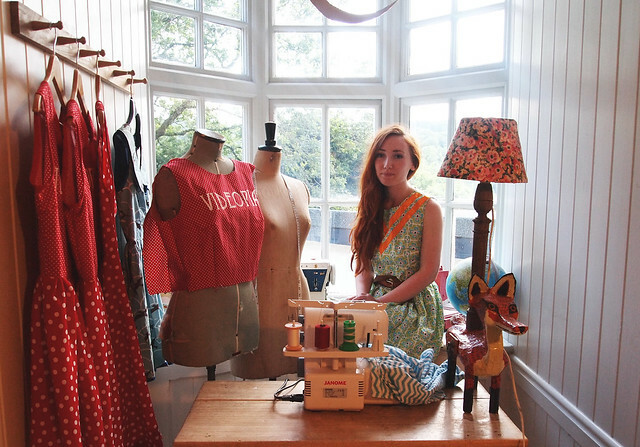 Her studio, her vintage singer machines, her fabrics and clothing creations...all just wow! I love everything about it. 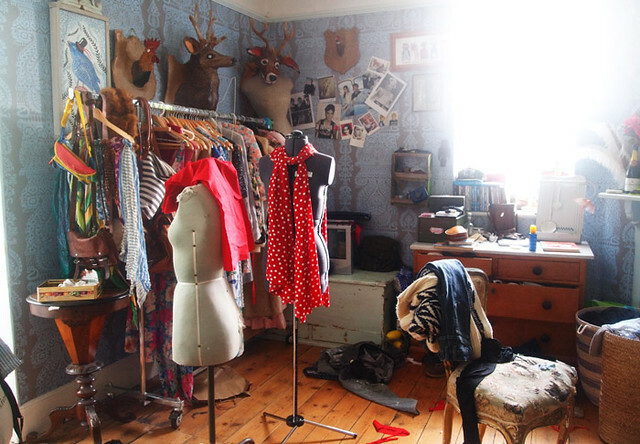 Inspires me to clean up my sewing space and start that dress I've been planning. I am following her lovely blog. I liked her on facebook...there are some wonderful posts there. Oh my goodness!! I love her designs!! I have my eye on a pretty blue one for a wedding next summer!! But this skirt is so so pretty!! I am following the 'I know' blog now! Yay! And I liked I know on Facey! Followed her blog, so many pretty posts to look through! Liked on FB, can't wait to see new posts pop up on my timeline!